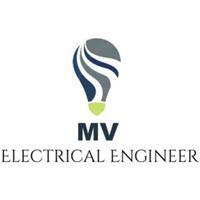 MV Electrical Engineer - Alarms/Security, Electrician based in Stevenage, Hertfordshire. Hello & welcome to MV ELECTRICAL ENGINEER checkatrade page. We are a passionate company based in hertfordshire serving herts, surrounding areas & london, undertaking domestic, commercial & industrial electrical installations. Our team boast a wealth of experience with fully qualified electricians, and provide a fresh approach to new & exciting electrical installations, and offer a full design to any installation. Our family has been serving the community for over 30 years and we are keen to continue the family name with reliabilty and a professional approach. Please see our photos of recent installations. We offer free quotations and are readily available to offer advice if needs be.